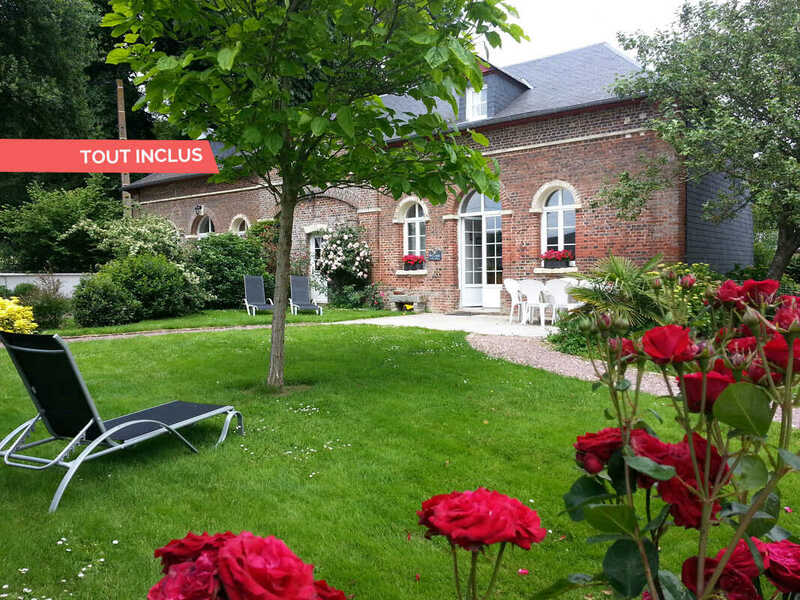 Flowered child-friendly accommodation very close to Honfleur. 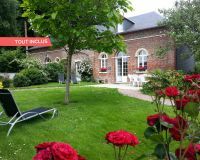 Located in the outbuilding of a little 18th century castle, this modern gite is well decorated and equipped. Adjoining gite 779, it is nevertheless very private and offers an access to the castle's park (13000m²). 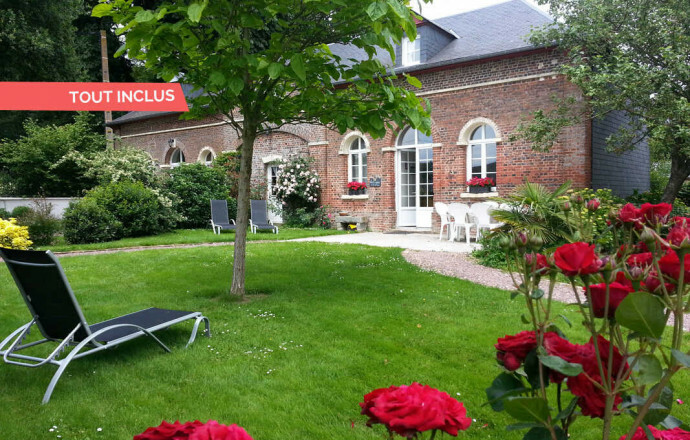 You have easy access to the nearby "Côte Fleurie" (Honfleur, Deauville, Trouville) and the region has many treasures to discover. GROUND FLOOR : entrance, living room with kitchen, 1 bedroom (2 single beds), shower room, toilets. FIRST FLOOR : 2 bedrooms each with a double bed, shower room with toilets. Cot and baby high chair. Heating, sheets and towels are included in the price. Children outdoor games: slide, swing, tree house.